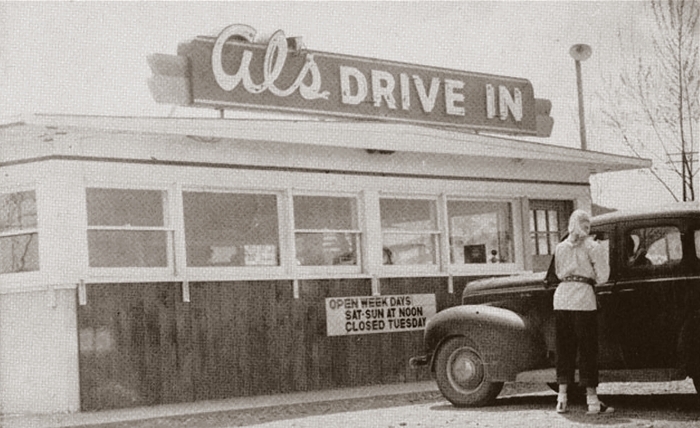 Al's Drive In  2111 9th Ave.
Al's Drive In was opened in 1952 by Alfred L. Beck (1921-1998), a long-time Helena painting contractor. 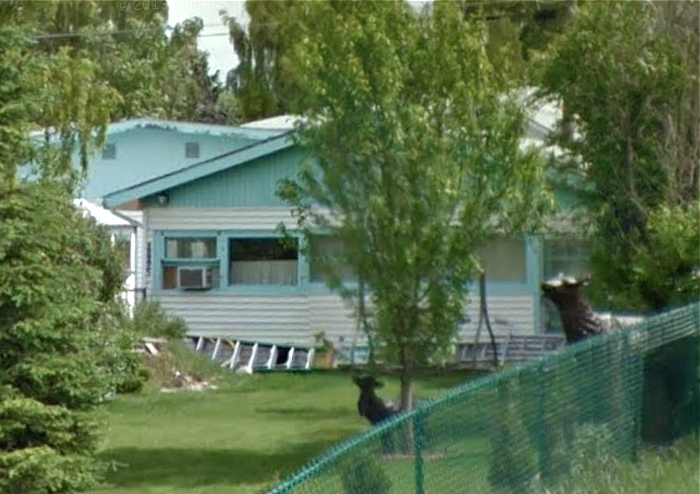 It was constructed next to Mr. Beck's home on 9th Avenue. 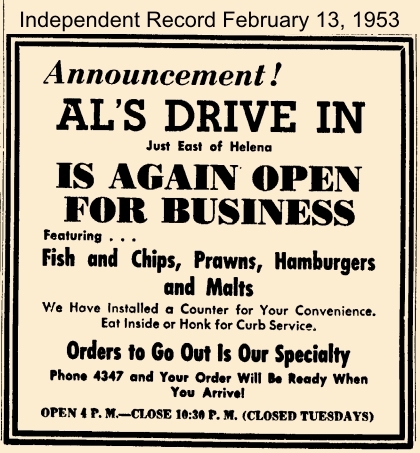 According to available online Helena newspaper archives, the drive-in was evidently in business ony from 1952-54. The building has been altered somewhat, and is now part of a multi-family residence. 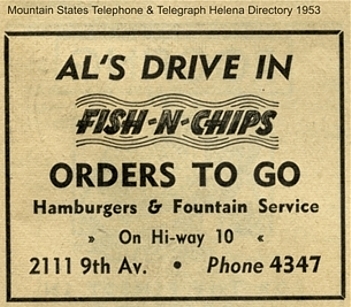 Although the 1953 phone book ad pictured above says that Al's was "On Hi-way 10", 9th Avenue is actually one block south of 11th Avenue, which in 1953 was designated as US 10 & 91. 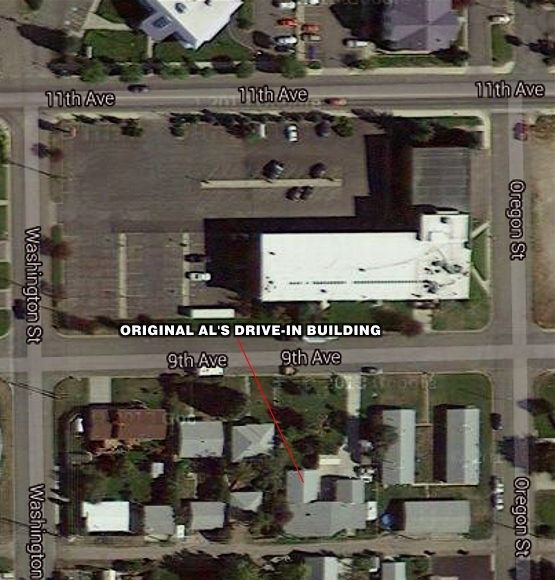 Still, there were few if any other buildings between 11th and 9th in that area, so the big "Al's Drive In" sign would have been quite visible to traffic on 11th in 1953. An inside counter was added for the 1953 season. According to Rita Cross, who now owns the property, the original green and gray checkerboard floor tile is still in place, as are the original windows. Rita also says that, until 1986, there was a circular driveway in front of the building. Many thanks to Rita for her help in putting together this feature!